Dr. Rudi van Zyl attained his Masters degree in Chiropractic while attending the University of Johannesburg, South Africa. During his time at the University he worked as an assistant lecturer, as well as an assistant clinician in the University’s chiropractic day clinic. 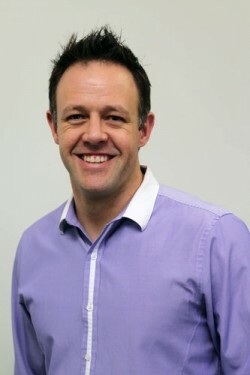 After graduating, Dr. Rudi van Zyl worked as associate chiropractor with Dr. Chris Neethling in Pretoria, before starting his own chiropractic clinic in Centurion, South Africa. Dr. Rudi van Zyl and his wife Dr. Bonnie Magee immigrated to Australia in 2008 after taking up the position as principle chiropractors for Kiro Kids Pty Ltd in Horsham, Victoria. They utilized the Neuroimpulse Technique and created a successful practice and great reputation in the Wimmera region and beyond. In 2011 Dr. Rudi van Zyl & Dr. Bonnie Magee decided they have come to love the lifestyle and people so much that this would be the place they would pursue their dream of opening a world-class wellness centre, and so “Back 4 Life Wellness Centre” was created. Dr. Rudi van Zyl is a proud father of 2 beautiful children, Charlize & Tristan. He has a special interest in family care & sports injuries.